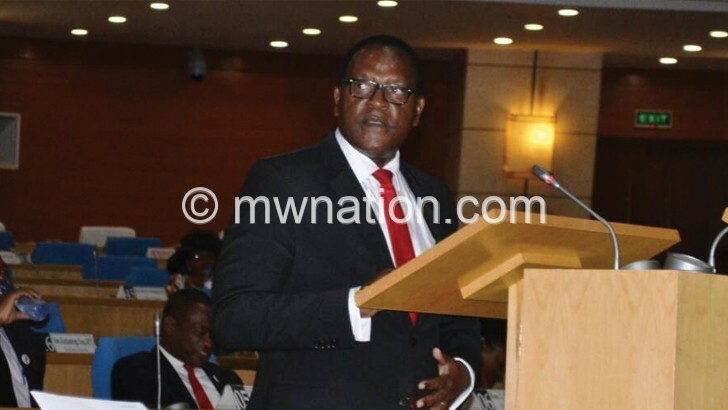 Parliament Secretariat says the resignation of Malawi Congress Party (MCP) president Lazarus Chakwera as leader of opposition in Parliament will not affect the forthcoming Mid-Year Budget Review Meeting. Clerk of Parliament Fiona Kalemba, responding to a questionnaire on the administrative side of the House’s proceedings following Chakwera’s resignation in line with constitutional requirements to vie for the office of the president, said MCP would be required find his replacement. “The resignation will not and cannot affect the Mid-Year Budget Review Meeting of Parliament because the standing orders of Parliament state that the party with the highest number of seats, its leader becomes leader of opposition in Parliament. In this context then, MCP may elect another leader among its membership in the House as a replacement,” she said. Prior to presenting his presidential nomination papers to Malawi Electoral Commission (MEC) last week, Chakwera resigned as Lilongwe North West legislator and effectively as leader of opposition. Chakwera’s decision to resign stirred debate with some legal minds suggesting that he should have first sought legal guidance from MEC because it was their making that nominations are received before Parliament is dissolved on March 20 as the Constitution dictates. Kalemba said Chakwera’s resignation was received by the Speaker of Parliament Richard Msowoya and a notice of vacancy of the seat in Lilongwe North West Constituency is being processed in accordance with Section 63 (2) of the Constitution. She said despite the resignation, Chakwera will still receive his terminal benefits calculated up until the day tendered his letter. Parliament will stand dissolved on March 20 as provided in the Constitution. Kalemba’s explanation comes after Msowoya earlier told The Nation that MEC’s decision to receive nomination papers from candidates in the May 21 2019 Tripartite Elections before the constitutional dissolution of the National Assembly on March 20 threw Parliament in a near crisis. The Speaker also said Parliament will have to elect a new leader of opposition once President Peter Mutharika gives a nod to convene the House for the Mid-Year Budget Review Meeting. The position of leader of opposition is critical as the holder is a crucial member of the Business Committee which sets out business to be discussed in the National Assembly. In the 2009 presidential race, then legislators Joyce Banda, John Tembo, Brown Mpinganjira, Clement Stambuli and Loveness Gondwe risked being technically barred from submitting nominations either as presidential candidates or running mates as they were still serving as MPs.